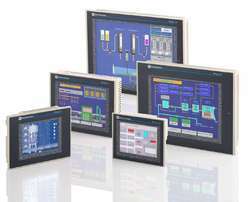 Our product range includes a wide range of plc based control panels and human machine interface systems. PLC Based Control Panels are flexible in the range of operations they can control and can be easily modified, enhanced or altered, even after the system is installed. 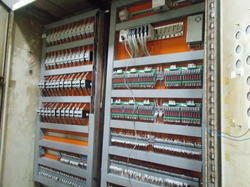 We manufacture and supply wide range of PLC Panels from 10 IO's to 1000 IO's which are customised to user requirement. Backed by a team of diligent professionals, we are able to represent Human Machine Interface Systems at market leading price. This is a monitor control system is basically collecting, receiving, recording and the indication of status information by the digital signal on the communicating path. These systems play a major role in making an efficient and easy interaction between the machine and user.